All we have is stinkin’ tuna! One of the polish groups I’m part of on FB is having a giveaway, and to get an entry you have to paint your nails green; I ended up doing some Scrump nail art! 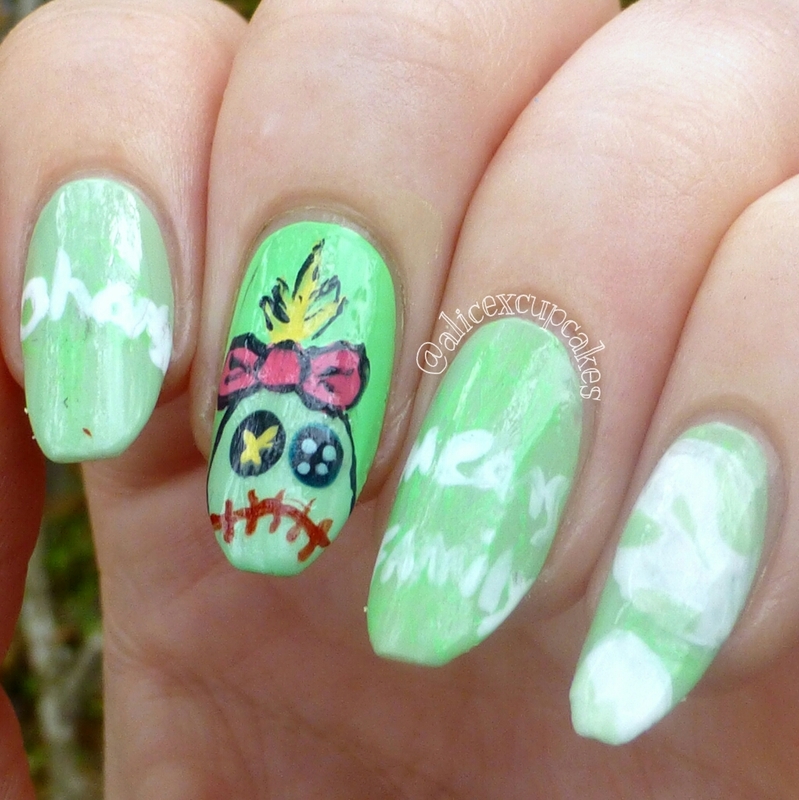 Lilo and Stitch is one of my favorite Disney movies, and I’ve always loved Scrump, I’m surprised she hasn’t ended up on my nails yet! I started these with a base of Color Club La Petite Mint-Sieur on most of my nails, and Color Club Twiggie on the Scrump nail. 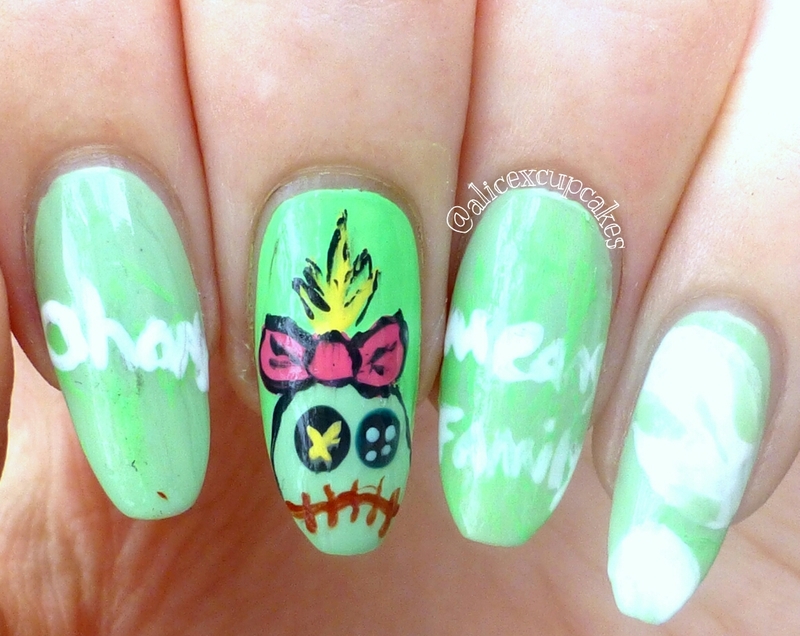 I used a combination of dotting tools and a detail brush for Scrump, and I tried to freehand “Ohana means family” across the rest of my nails, but the letters got kinda squished together.